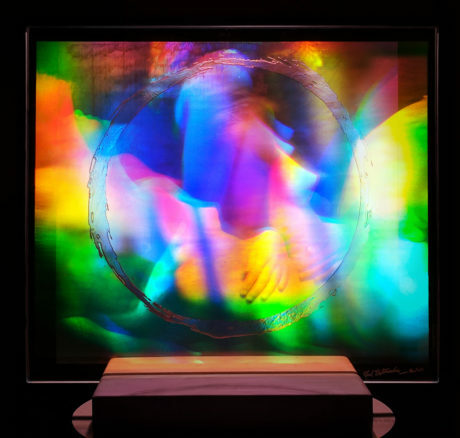 Pioneer of holographic art Unterseher expertly engages viewers with his passion for visual perception, light, kinetics, consciousness and community. Unterseher gradated with honors from San Francisco Art Institute participating in collective artist projects including with ANT FARM and the formation of Project Artaud. 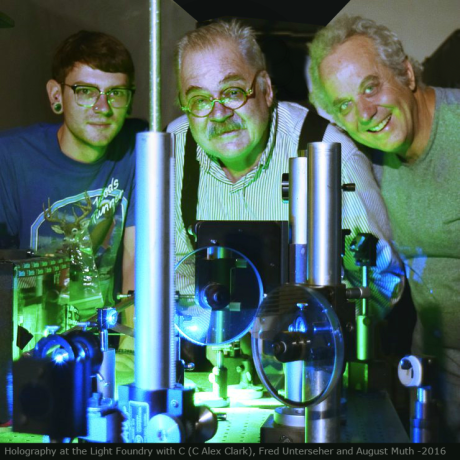 Unterseher was a pioneering member of the San Francisco School of Holography with Lloyd Cross and Gerry Pethick. Later they formed the Multiplex Company that produced stereographic holograms, including artworks for Salvador Dali. Unterseher has exhibited extensively at galleries, museums and educational institutions in Europe, Asia and throughout North and South America. Layered 3-dimensional pulse laser recordings of the figure dance in light. The soft contours of the female form trace out an intangible space. Geometric shapes disrupt this space while tethered through a dynamic of color. 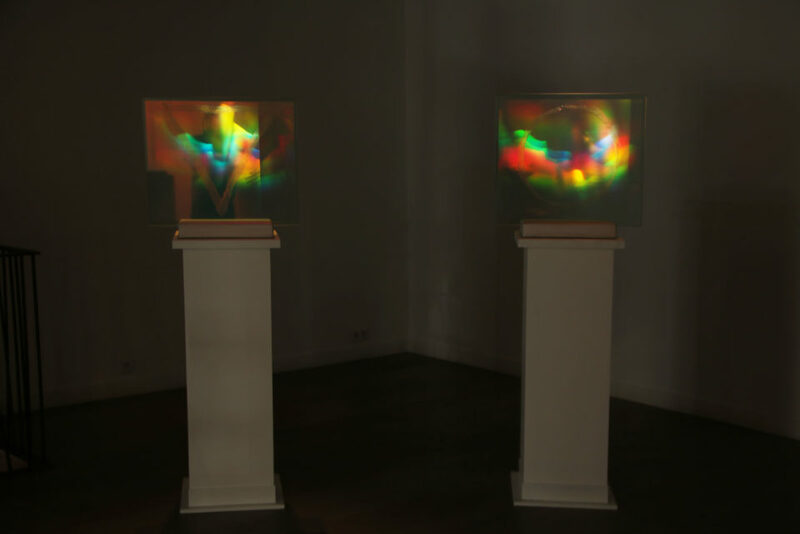 For Kinetic Figures Unterseher is composing figurative holograms that are animated by the motion of the viewer and dynamic multiple point lighting. portrays a kaleidoscope of figures generated from the movements of a single female figure. 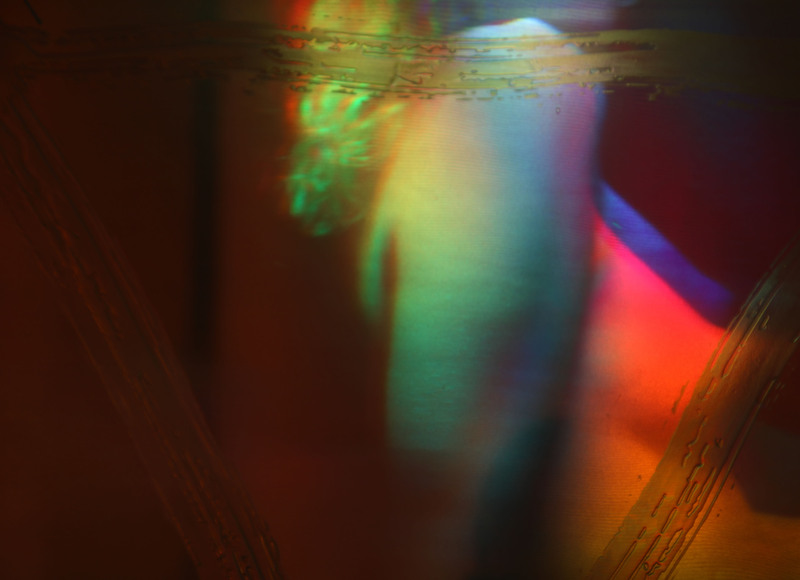 holograms that allow for a mixed secondary order of colors that includes more “pastel like hues”. they contribute to an experience that is unique. motion in which everything moves together in an interconnected process of becoming.